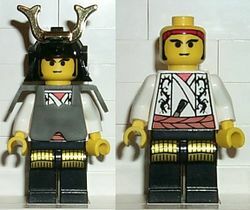 The White Ninja Shogun is a minifigure who appeared in Ninja sets, starting in 1999. 3077 Ninja Shogun's Small Fort box art showing this minifigure. Facts about "White Ninja Shogun"